A man under house arrest for faking an ownership stake in Facebook is missing after rigging up an elaborate contraption to make it look like he was still in his home. 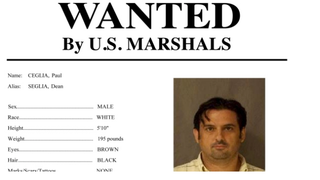 Marshals discovered a handmade contraption connected to the ceiling, from which Ceglia's GPS bracelet was dangling, prosecutors wrote. Its purpose seemed to be to keep the bracelet in motion, using a stick connected to a rotating motor. A timer was connected to the bracelet's charger, apparently to mimic the report that would have been sent if Ceglia had been present and had plugged the charger in. The wording here is vague: It's not clear if the "contraption" is some sort of ceiling fan or something even more mobile. Quite ingenious, though it lacks the je ne sais quoi of, say, a dancing Michael Jordan cutout.